This is the moment that when you love some recipes and your dear one says “let’s cook together…” When my sweetest little sister came home and I asked for what should I cook for her. She replayed “let’s cook together” then only biryani recipes only came in mind. I hustled. But anyhow I convinced her to try some easy biryani recipe. But still she wanted that green color in biryani. This is not the first time the we cooked together. Previously Veggie Lasagna and Pizza Puff were also the best first attempts. She is the lucky charm for me. We both did little research and find out some easiest and important points to make biryani recipe. 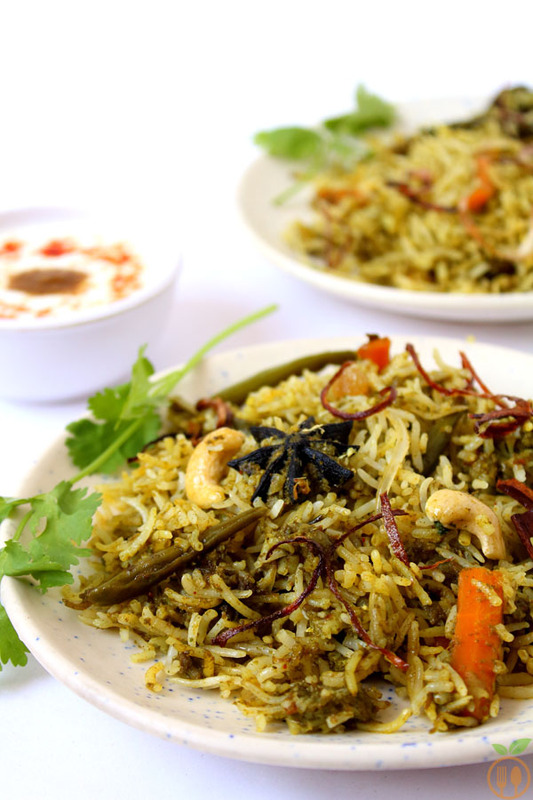 The vegetable dum biryani recipe is all about aroma, aroma and aroma. And obviously this aroma comes from heavenly ingredients of Indian kitchen the whole spices. I prefer main spices like cinnamon, cloves and cardamom. The star anise and bay leaf give a perfect balance to it. 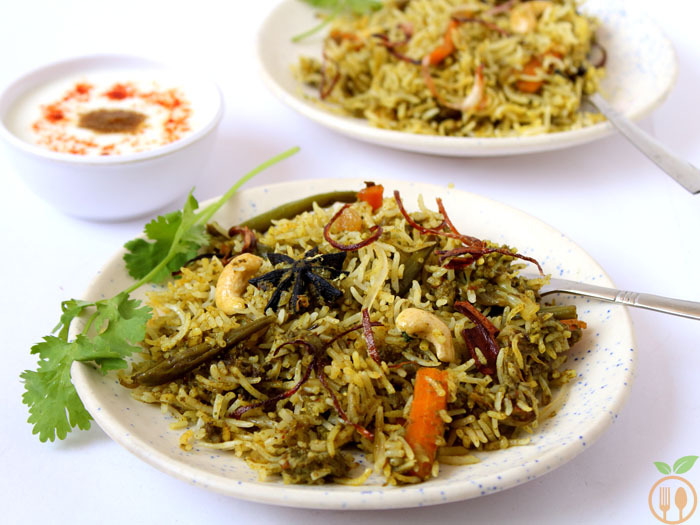 The identity of biryani is layer of rice and other veg or non-veg ingredients. Chicken biryani is world famous for non-vegetarians. But I am vegetarian, so I always prefer some veggies and spicy sauce to make it more delightful. Either you half cook the veggies or add directly into biryani pan. I first cook veggie into green paste. In an ancient days, long grain rice prefer for making biryani. There are lots of varieties of basmati rice available for specially the rice dishes like pulav, fried rice or biryani. They have texture, taste, aroma to make dish more appealing. Curd is very must element in biryani. It gives richness to it and some tangy flavor to balance hotness of spices. And last but not the least is to give “Dum” to your biryani, means when you finally assemble your layer, It is a method of slow cooking. Dum means air cannot be escaped from pot of biryani. You have to seal the edges of lid and pot with some dough or aluminum foil. Even you cannot put them on direct heat. Put some tawa or grilled pan on gas, and then put pot of biryani. I pretty sure that I have cleared all your doubts. But they all worth it, when you taste it. You definitely forget the restaurant taste. Because you have developed your taste with hard work. 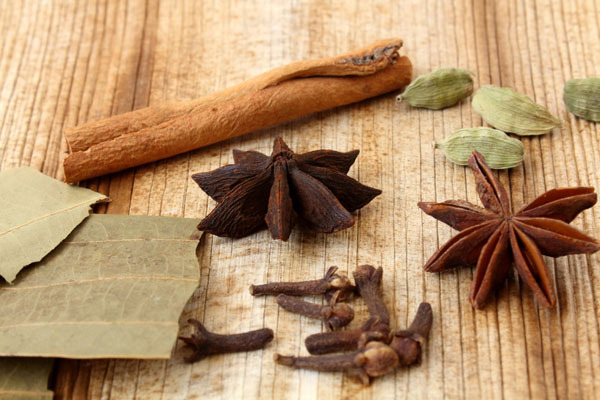 You can add more spices like mace (jayitri or javitri), black cardamoms, peppercorn, nutmeg, saffron, rose water and many more. You must soaked the rice for at least one hour. This will help make cooking process faster. You can add more dry masala like garam masala powder, biryani masala or cumin powder. But I suggest let the whole spices be hero. The spiciness can be adjusted by adding red chili powder. 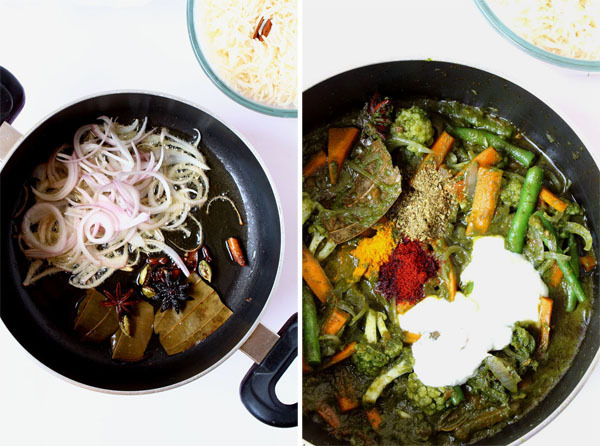 Let the vegetable half-cooked into green paste. So that both paste and veggies get taste of each other. 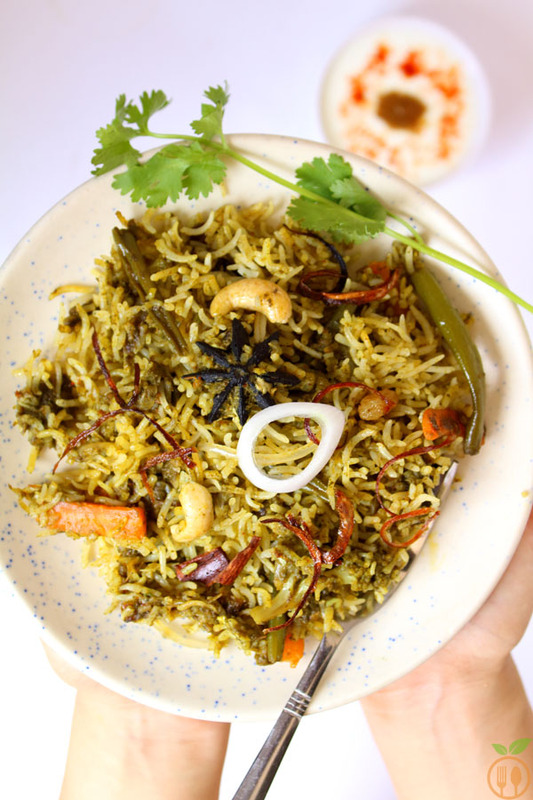 Green Vegetable Dum Biryani or Veg Palak Biryani with step by step photos - Vegetable Dum Biryani is a simple and all time favourite rice dish. 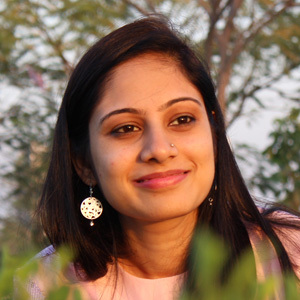 This recipe is slightly different than Hydrabadi Biryani in terms of cooking time and texture. 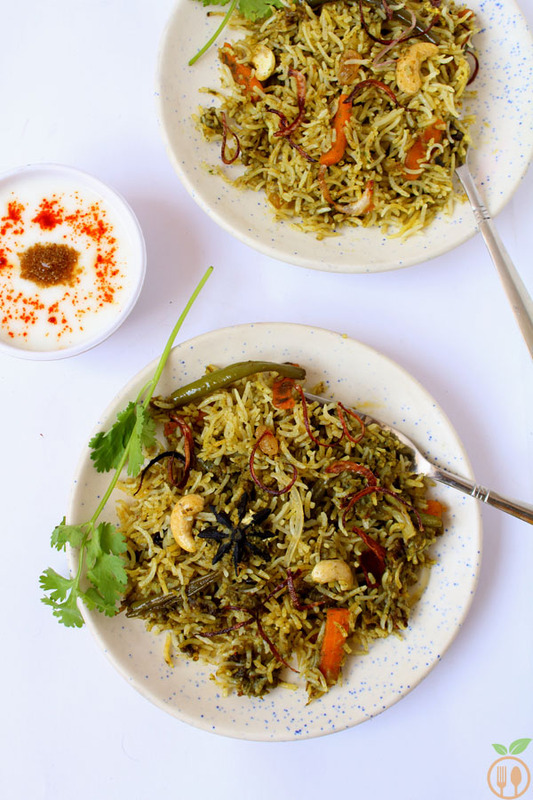 The green color of this biryani is mainly because of Spinach (Palak) puree. Take basmati rice soaked for 1 hour. In large sauce pan boil the water, add rice into it, add half tbsp ghee, salt, 2 cloves and small piece of cinnamon. Let the cook rice for 15 minutes. It should be half cooked not perfectly cooked. 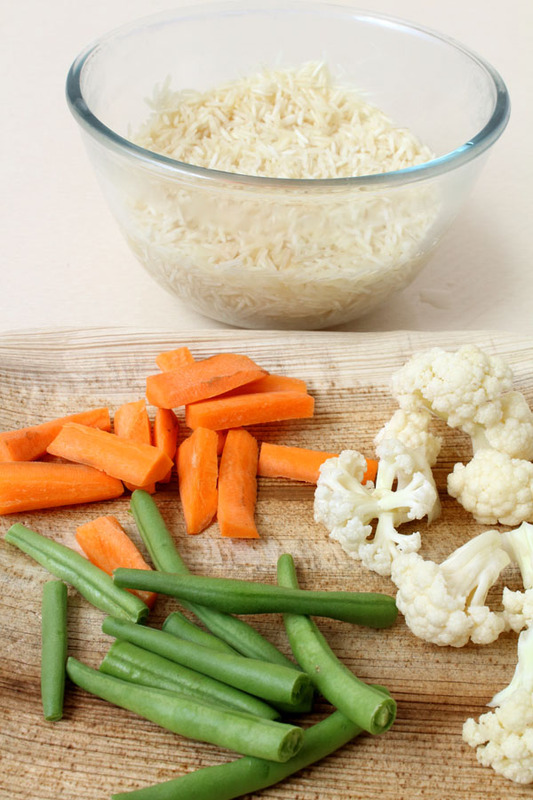 Once the rice is boiling, cut the all vegetables. And prepare the green paste. 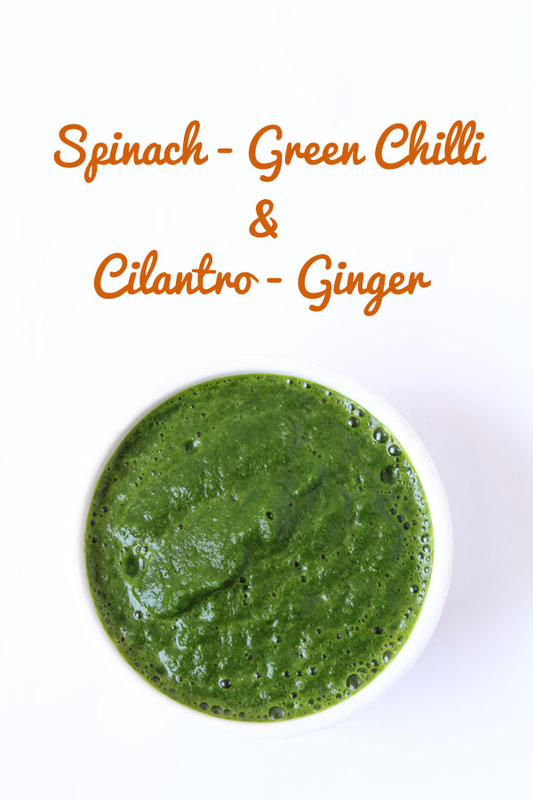 To make green paste, in a mixture jar, take all ingredients (spinach, cilantro, chili, ginger ) and grind them till smooth paste. In a large deep pan, start to make biryani. Add 2 tbsp oil and immediately add all whole spices (cinnamon, clove, bay leaves, star anise) stir just while and add sliced onions. And cook till it gets light oink color. Cook till 5 minutes. Now add chopped tomatoes and cook for another 5 minutes. Then add all the vegetables and green paste. Adjust the salt and add turmeric, chili powder, fennel seeds powder, coriander powder. Cover with lid, and cook for 10 minutes. Now add half cup of curd again cover with lid and cook for another 10 minutes. Then flatten the veggies at bottom, then add remaining curd and half of the birista (fried onions), and cover upper layer with cooked rice. at top, add some cashews, raisins and birista. At last add 2 tbsp ghee at top. Now cover with lid. You can seal the all edges of lid and pot with some dough. This will help it to preserve the aroma of spices into rice. Cook it for 20 minutes. 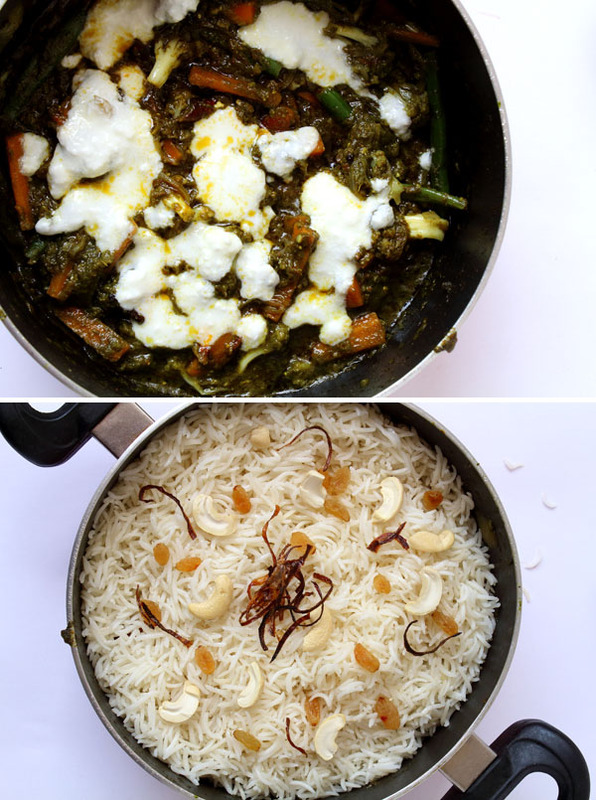 1) Serve this biryani with dahi rayta or masala curd. 2) Some pickles and papad also goes best with biryani.